1. In a medium saucepan, gently boil the peas and corn until soft. Divide in half, and mash with a fork or stick blender one half. Set both aside to cool. 2. Combine the vegetables with the cooled mash and remaining ingredients, except the breadcrumbs. Season to taste. 3. 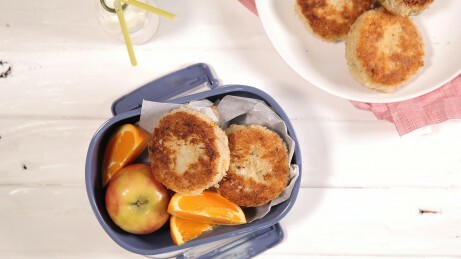 Shape into 8 ½ cup-sized patties and lightly roll in bread crumbs, shaking off excess. 4. Heat oil in a frypan and shallow fry in batches, approximately 3 minutes each side or until cooked and golden. 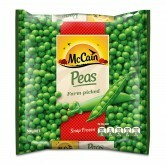 1 In a medium saucepan, gently boil the peas and corn until soft. Divide in half, and mash with a fork or stick blender one half. Set both aside to cool. 2 Combine the vegetables with the cooled mash and remaining ingredients, except the breadcrumbs. Season to taste. 3 Shape into 8 ½ cup-sized patties and lightly roll in bread crumbs, shaking off excess. 4 Heat oil in a frypan and shallow fry in batches, approximately 3 minutes each side or until cooked and golden.